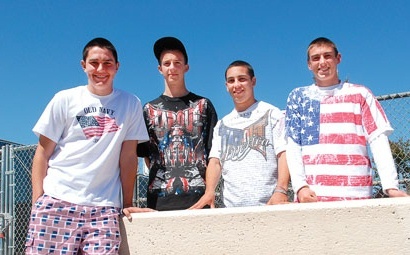 Students at a California high school were sent home from school on Wednesday for having the unmitigated brazenness to wear T-shirts sporting the American flag. The five teens were sitting around a table outside Live Oak High School in Morgan Hill, California, when Assistant Principal Miguel Rodriguez (pronounced, mee – gel / rod – ree- gez) asked them to accompany him to the principal’s office where they were ordered to turn their T-shirts inside-out or be sent home. You see, Wednesday was Cinco de Mayo day, an annual holiday that is celebrated in another country called Mexico. But it would seem it also is celebrated with quite a bit of hoopla at this particular California school. On this day, school officials had enthusiastically encouraged the students to wear Mexican red, white, and green, but deemed the display of Old Glory as “incendiary.” Hence, the disciplinary action against these students. You know, I had never really given much thought before to Cinco de Mayo. But Señor Assistant Principal Rodriguez has inspired me. From now on, I am going to make the effort to celebrate it every year. In my own special way. This entry was posted on May 9, 2010 at 3:30 am and is filed under Culture, Education, Gem of the Week. You can follow any responses to this entry through the RSS 2.0 feed. You can leave a response, or trackback from your own site. TONIGHT ON HANNITY: The school kids from Live Oak High School speak out.